Let Superkid Capes help you capture some magical moments of your little hero outfitted in our bright and colorful rainbow costume! Whether its for that special Halloween costume, a parade, a school play, a magical birthday party, or just for fun; our rainbow costume will definitely brighten everyone's day. 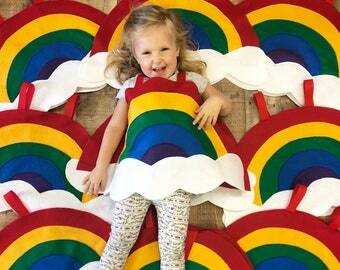 1 one-of-a-kind, easy on RAINBOW COSTUME, with option to add matching hair bow, headband and rainbow arm bands. 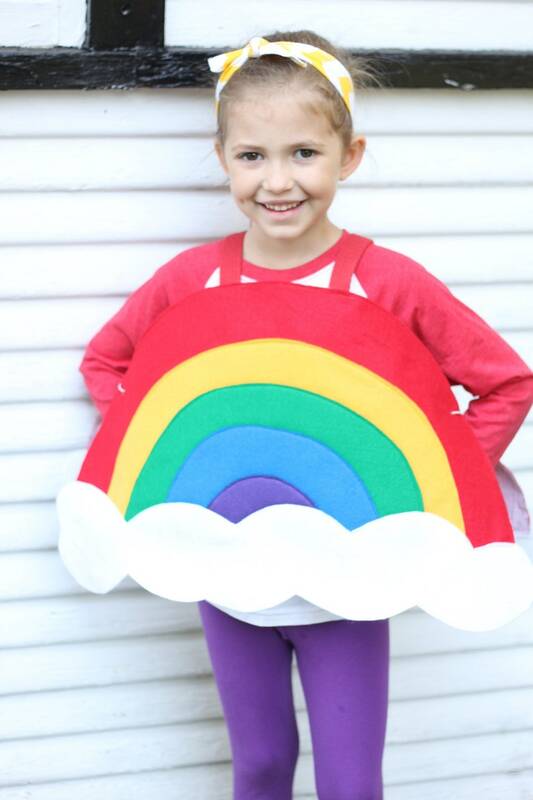 This awesome rainbow costume is made of felt that is hand sewn in our workshop by our awesome team of moms to ensure the highest quality! The rainbow design shows on both the back and front of the costume. The optional arm bands are secured with sewn in velcro, and the hair bow coordinates perfectly with the felt colors. 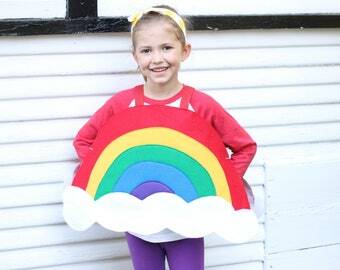 Our rainbow costume is ideal for walkers, through age 7. This was the perfect Halloween costume for my 2.5yo. Fit her great and she loved it. It was exactly what I envisioned! Nice quality and speedy delivery. Perfect for my daughters Halloween costume!